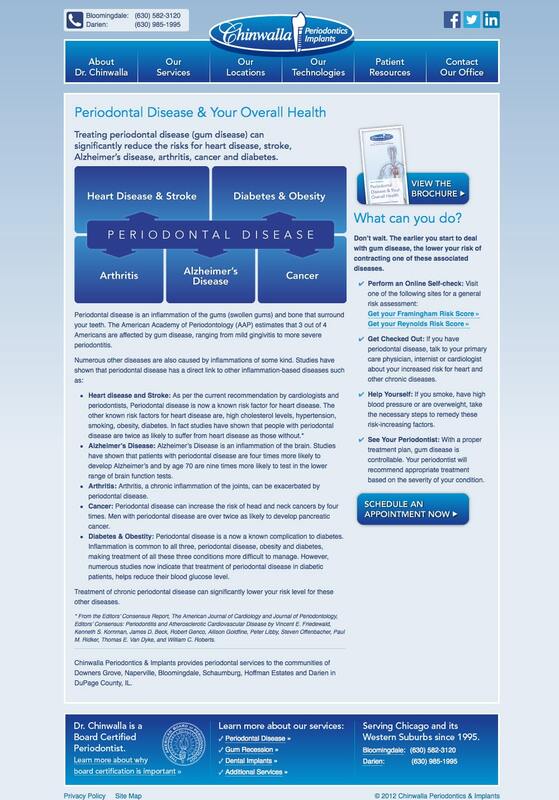 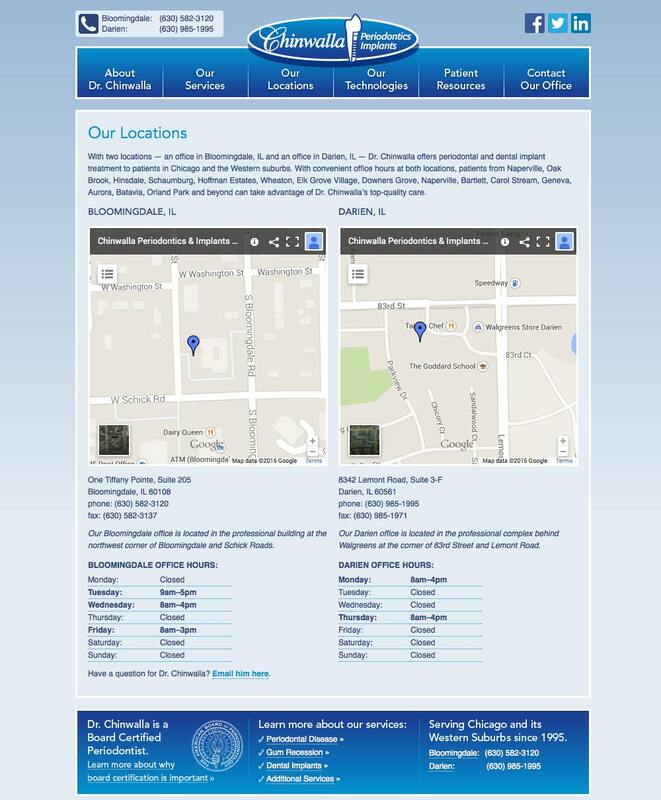 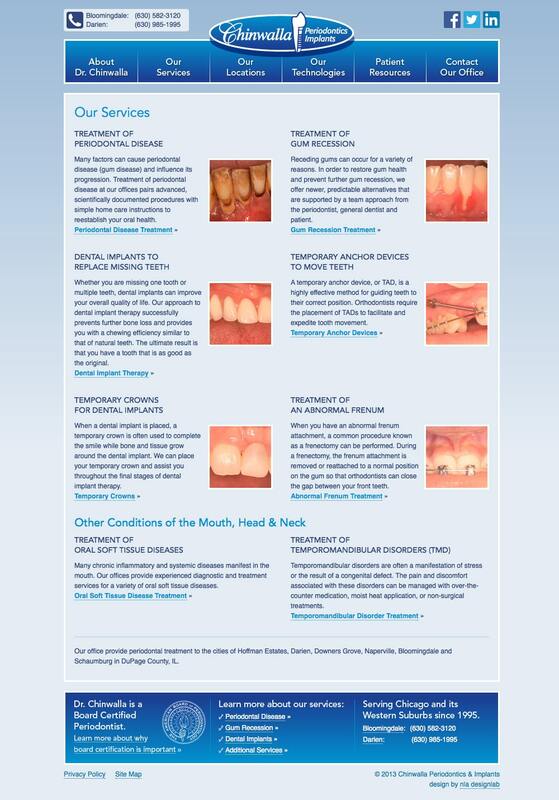 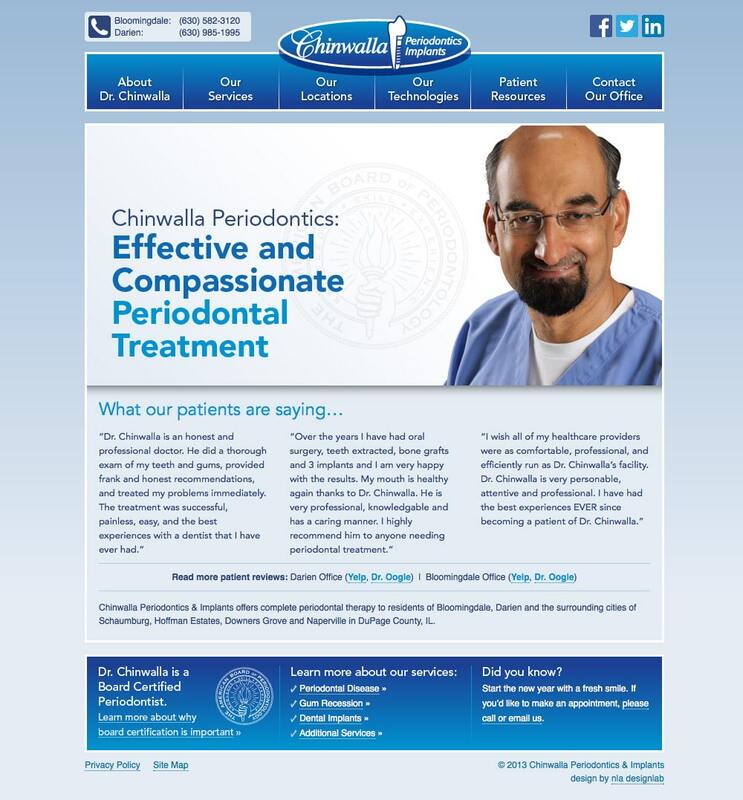 The Chinwalla Periodontics website serves to educate prospective patients and provide resources to existing patients. 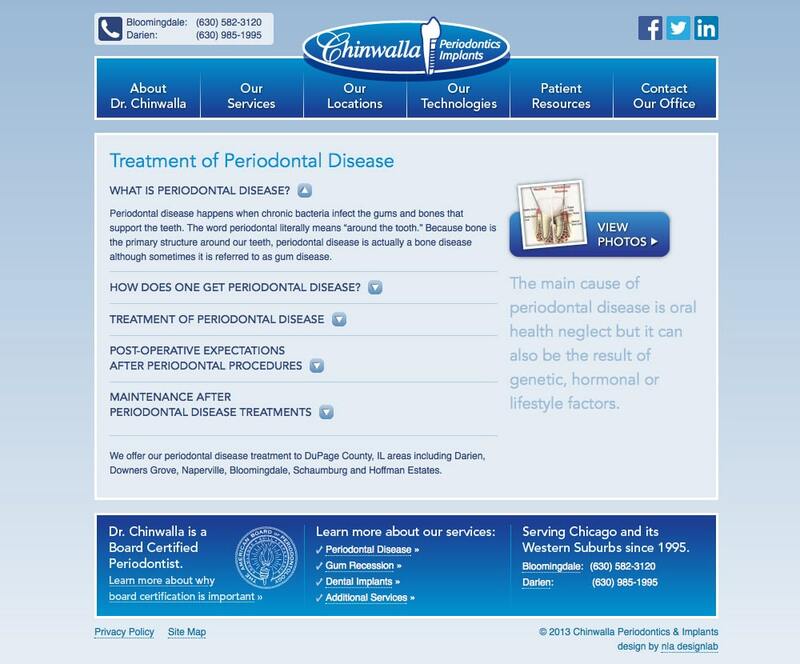 The process of developing the site resulted in the goal of demystifying periodontal services and correcting common misconceptions. 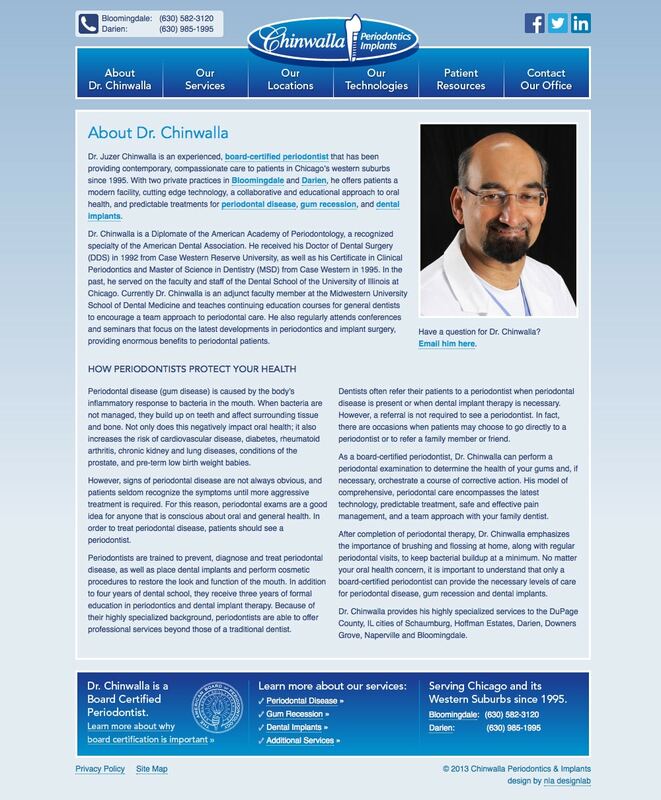 As a result, Dr. Chinwalla’s site goes deeper than many of its competitors and serves to reinforce his approach to the practice of periodontology.